Rose Smith is a regular media commentator having been seen on Studio 10, Today Extra, Weekend Sunrise and was also a regular contributor to Jonathan Coleman’s Talking Lifestyle show on 2UE, 3AW, 4BH and 6PR. Rose also appears on a host of other radio stations including ABC The Spirit of Things, 2SM, Triple M, 2UE, Sea FM, Zinc FM and 2GB. 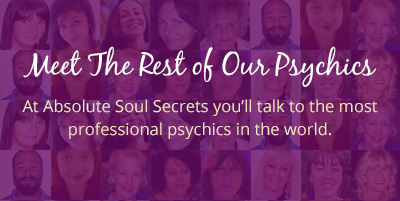 You can see Rose in action on the 1st Saturday of each month at 1pm Sydney AEDST time at www.facebook.com/absolutesoulsecrets.au live streaming psychic readings for the general public. Talking Lifestyle Breakfast with John and Garry – Are we Experiencing a Cultural Revolution with Karma Coming Forward! Australian Women Online February 2019 It’s the Year of the Pig but What Does it Mean? Please contact Tracey for all media enquiries at 1300 827 323 or fill out the form on our Contact Us page.